Bradley Jay, “B.J.”, Errington was a gift to us on Christmas Day, 1977. He left us all too soon on June 24, 2015, at the age of 37, of an apparent heart attack. Brad was in the first kindergarten class of St. Joan of Arc School. He was a proud Titan at St. John’s High School, where he played football and made his lifelong friends. Brad attended BGSU and the University of Toledo. 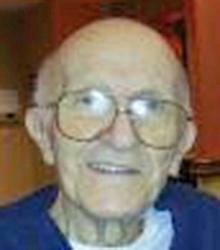 He worked for ten years at the Anderson’s Maumee store selling paint and floor covering. His most recent job was with Reemsnyder Decorating, specializing in residential floor covering sales. Family and friends meant everything to B.J. His good nature and sense of humor will be greatly missed. Survivors include parents, Michael and Marilyn Errington; brothers, David (Colleen) and Steven (Laura); cherished nephews, Gavin, Sam, and Jack; many cousins and S.J.J. buddies. He was predeceased by grandparents, Thomas and MaryEllen Ryan, Wayne and Helen Errington; cousin, Kevin Ryan, and the best dog in the world, Murphy. Visitation will be Sunday, June 28th from 6-9 p.m. at Bersticker-Scott Funeral Home, Heatherdowns at Byrne Rd. Further visitation will take place Monday, June 29th from 10-11 a.m. at St. Joan of Arc Church followed by Mass of Christian Burial at 11 a.m., St. Joan of Arc Church, 5856 Heatherdowns Blvd. Memorial contributions can be made to the St. Joan of Arc Choir Fund (address above), or the Autism Treatment Center of America (Son-Rise Program) at www.autismtreatment.org/donate, in memory of Brad Errington family, or ATCA, 2080 S. Undermountain Rd., Sheffield, MA 01257-9643. James J. Szumigala, who was at ease working, saving, and investing long before he became a professional credit manager with a leading Toledo firm, died June 18 in his South Toledo home after a fall there. He was 85. Mr. Szumigala was a 33-year employee of the former Ohio Plate Glass Co., which operated from a landmark building at the foot of the Anthony Wayne Bridge. 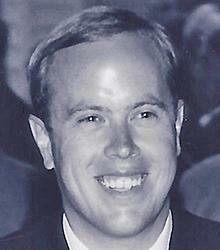 He was particularly close to the late Paul F. “Rusty” Heymann, chief executive and third-generation owner. The company offered commercial and industrial glazing and glass tempering and fabrication. It also was a wholesaler with subsidiaries in cities throughout Ohio, Indiana, and Michigan. Mr. Szumigala oversaw accounts of the regional credit department but, his children said, the family owners entrusted him with much more. “He was making sure the bills were being paid and over time, he was overseeing where the trucks were coming and going and started early fraud detection,” his daughter Cathy said. “He felt completely trusted by them, and he thrived on that. “Dad was extremely dependable and extremely efficient at analyzing situations” and finding solutions, she said. The company was sold in the mid-1980s and renamed, although Mr. Heymann remained CEO for several years. Mr. Szumigala was assigned to close down the Toledo operation and retired afterward in 1989. He was a former president of the Credit Association of Northwest Ohio and in 1979 was named a credit executive of the year by the National Association of Credit Management. Mr. Szumigala received a bachelor of science in education from Ohio State University. Dun and Bradstreet in Toledo hired him in 1953 to be a credit reporter and manager of the credit correspondence department. He was born Sept. 25, 1929, to Helen and Harry Szumigala and grew up next to the family’s tavern, Harry’s Sport Center on Lagrange Street. At age 10, he was washing floors. At 16, he helped with deliveries. He bought a lawn mower to make money. He saved trading stamps, with which he bought bonds, which allowed him to finance the house he built, his daughter Cathy said. “My dad had a very strong work and finance ethic, even as a child,” she said. He was a rock collector and a member of the Toledo Gem and Rockhound Club. Family cross-country rock-hunting vacations inspired at least two of the children, Amy and David, to pursue advanced degrees and careers in geology-related fields. He also was a home winemaker for decades, and his red zinfandel “was a good crowd pleaser,” his son Dale said. His wife, Anne, a schoolteacher, was recognized in 1990 by President George H.W. Bush for her volunteer work in education. The couple was flown to Walt Disney World for an all-expenses-paid ceremony. He and his wife married April 9, 1953. She died May 20, 2011. Surviving are his daughters, Amy Mohler, Cathy Szumigala, and Sue Morgan; sons, David and Dale; 11 grandchildren, and six great-grandchildren. Visitation will be from 3-8 p.m. today in the W.K. Sujkowski & Sons Funeral Home on Airport Highway, with a recitation of the Rosary at 7 p.m. Funeral services will be at 10 a.m. Saturday in Little Flower Catholic Church, with visitation at 9:30 a.m. The family suggests tributes to the tuition assistance fund at St. Benedict School, which is at Little Flower parish, where he was a member. This story was written by Blade Staff Writer Mark Zaborney. Contact him at: mzaborney@theblade.com or 419-724-6182. Robert Joseph “Bob” Szkutnik (AKA “Scooter”), 91, passed away Saturday, June 20, 2015. Bob was born December 19, 1923, to John and Katarzyna (Liwinski) Szkutnik, both immigrants from Poland. Bob was a 1941 graduate of Libbey High School. He then pursued a career in metalworking, and a tool and die apprenticeship. He joined the war effort two years later, serving in the Navy from 1943 to 1946. Aboard the USS Mertz DD-691, Bob was a part of a destroyer squadron (DesRon 54). The Mertz and crew were credited with 10 battle stars and earned many honors, engaging directly in such historic and pivotal battles as Iwo Jima and Okinawa. Bob was aboard the Mertz for two and half years, and for every single leg of the ship’s 175,000 miles of commissioned service. Bob and two partners founded Dun-Rite Industries, Inc. in 1957. Skilled tradesmen, the trio built the original cement block building that still stands today. Bob ran the manufacturing side of the operation. The company moved into larger facilities, but remained in Toledo until he retired in 1993. Over his career, Bob trained scores of diemakers, moldmakers and skilled tradesmen – including his three youngest sons, each son becoming an engineer later in their own careers. Bob’s company and apprenticeship program were held in high esteem, its graduates spawning many local, successful companies in related businesses. He was well known as a perfectionist, necessary for career-long success in that industry. Bob earned the respect of many young men under his tutelage, and many, including the very first apprentice trained at Dun-Rite, had moved on, but maintained regular contact with Bob through life. Men openly shared with others that they thought of Bob as a father. Bob enjoyed golf and boating but passed on his deep passion for baseball, which he had played on a varsity level at Libbey HS. Bob also enjoyed many football, volleyball, baseball, basketball and hockey games played by his children and grandchildren. Bob was also a lover of animals and often spoke of pets dating back to his childhood. Many cats and dogs had been a part of his household over the years. He was deeply moved by the efforts of organizations which benefited the health and wellbeing of animals. Bob is survived by his second wife of 45 years, Shirley Ann (Reinbolt) Roberts and older sister, Sonia Santus of Defiance, OH. 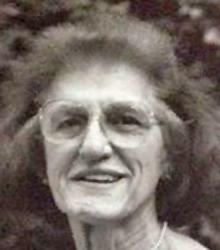 Bob was married to Virginia Czebatul who bore 6 children and passed away in 1966. Bob married Shirley in 1969. Also surviving are children, Kathleen Hoover of Toledo, Barbara Szkutnik of Battle Ground, WA, Bruce (MaryJane) Roberts of Toledo, Garry (Jan) Roberts of Sylvania, OH, Robert C. Szkutnik of Jacksonville, FL, Dennis (Carol) Szkutnik of Perrysburg, Jeffrey Szkutnik, of Temperance, MI and John (Karen) Szkutnik of Canton, MI; 25 grandchildren and great-grandchildren. Friends are invited to visit from 5:00-8:00 p.m. Thursday, in the Ansberg-West Funeral Home, 3000 Sylvania Avenue, (between Secor and Douglas Roads). Prayers will begin at 9:30 a.m. Friday in the funeral home, followed by the funeral Mass at 10 a.m. at Christ the King Catholic Church, 4100 Harvest Lane. Interment will follow in Calvary Cemetery. Bob requested, in lieu of flowers, to please consider a donation to the ASPCA in his memory. Louise Sobecki, 92, of Dayton, Ohio, passed away peacefully Saturday, June 20, 2015, at home. Louise served in the Women’s Army Corps during WWII. Her passion in life was her family and she enjoyed singing, dancing and running. She was preceded in death by her husband, Raymond and 8 siblings. She is survived by her brother, Victor Kretz, North Baltimore. She was the loving mother of Michael (Karen) Sobecki, Dayton, Maureen (Ron) Szilagye, Northwood, Ninette (Bill) Hodgins, Bluffton, SC, Thomas (Pamela) Sobecki, Toledo, Christopher (Patrice) Sobecki, Pleasantville, NY, Mark (Nancy) Sobecki, Powell and Luette (Walter) Morton, Aurora, CO. She was Grandmere’ of Joel, Ben, Alycia, Auguste, Chris, Adam, Melisa, Isaac, Micah, Nichole, Ambre, Jennifer, Paul, Antastacia, Joseph, Robert, Jeffrey, Josiah, Ruthanne, Miranda, Carly, Nicholas, Matthew, Frank, Andrew, Margaret and Chloe. She was the great-grand-mother of eleven. A Funeral Mass of Christian Burial will be celebrated on Wednesday, June 24 at 10 a.m. at Our Lady of Perpetual Help Church, Toledo. Interment will follow in Calvary Cemetery. The family would like to thank Dr. Kurt Fleagle, Walnut Creek Memory Care Unit and the caregivers of Hospice of Dayton for their loving and compassionate care. Memorials may take the form of contributions to Hospice of Dayton. Candy Cane Zajac, age 52, of Toledo, passed away on June 10, 2015. She was born on June 14, 1962, in Toledo. Candy worked as a cheese monger for the Anderson’s General Store in Maumee. She enjoyed the time she spent with her family especially her children and grandchildren. Candy will be dearly missed by her loving husband of 15 years, Kevin Wisniewski; children, Bradley Zajac, Christine Zajac, Hallie Wisniewski, Joshua Wisniewski, Amanda Wisniewski and Jessica Wisniewski; grandchildren, Zoe, Sophia and Gavin; sisters, Ronda (Rick) Ruble and Bobbi McAlister; father, Robert (Wanda) McAlister; and mother, Sharon (Jim) Alleman. Also surviving are many extended family and friends. The family expresses heartfelt thanks to Pam Turner for all her care and help during Candy’s illness. Family and friends may visit on Tuesday from 2:00-8:00 p.m. with the recitation of the rosary at 4:00 p.m. at the W. K. Sujkowski & Son Funeral Home, 3838 Airport Hwy. Funeral Services will be held on Wednesday, June 17, 2015, with prayer services in the funeral home at 9:30 a.m. followed by the Funeral Mass at St. Charles Borromeo Church at 10:00 a.m. Interment to follow at Ottawa Hills Memorial Park.